Created features the first human element I've tried... My husband was the model, each colour you see in the hand is a different fabric! 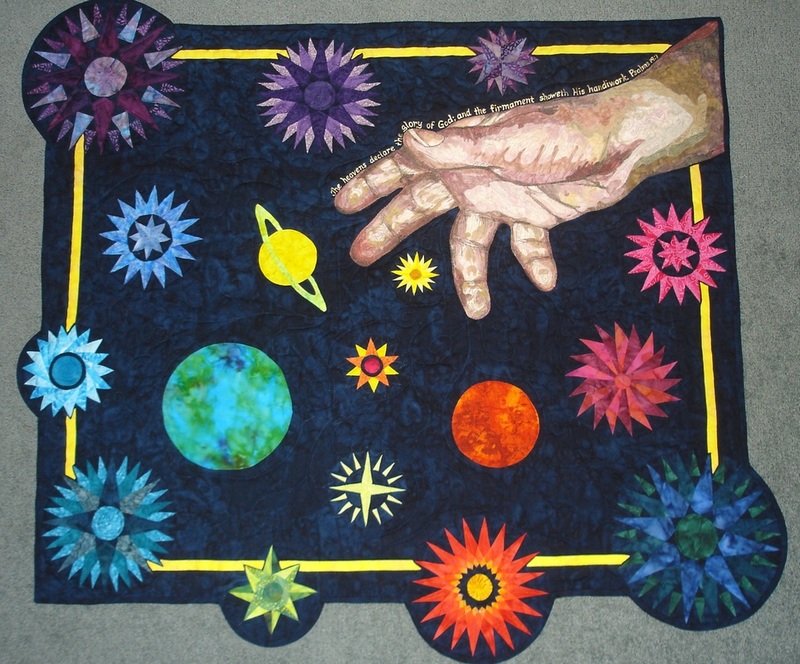 This wall hanging has some stars that I drafted as well as some from Judy Mathieson's book Mariner's Compass stars. Link below. When I created my patented STARWHIZ tool, I sent a sample to Judy and received a lovely and encouraging response. Her quilts have always inspired me. The Bible verse painted in gold along the top of the hand is Psalms 19:1 The heavens declare the glory of God and the firmaments showeth his handiwork.